Do you want to write a cookbook, publish your original food recipes online, or share recipes with friends? No matter which of these you have in mind, when it comes to writing your original food recipes you need to give your reader every opportunity for success. 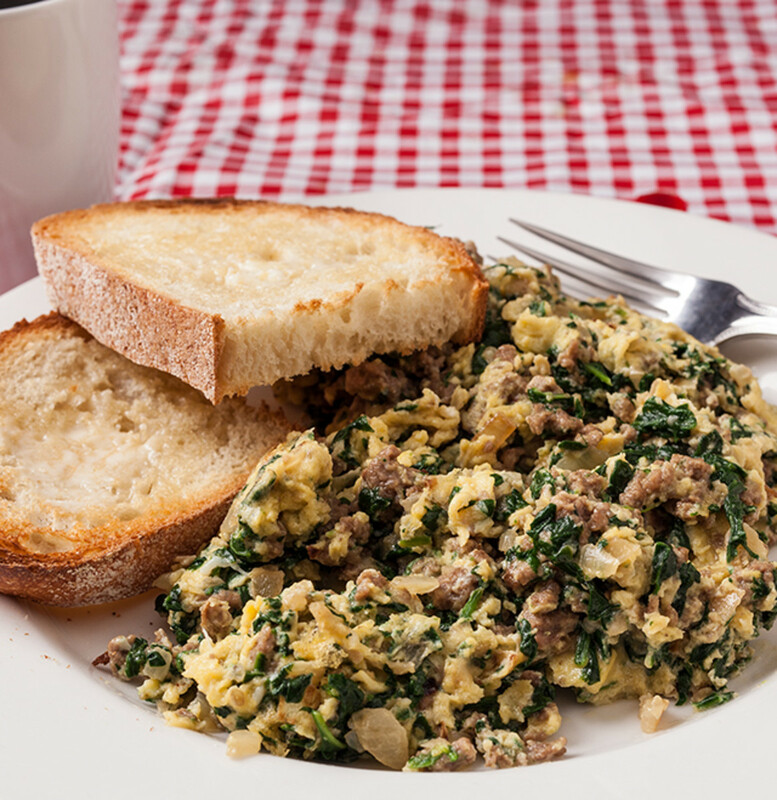 Make your recipes easy to write and easy to follow by using these 10 recipe writing tips. I keep a pad of large, unlined paper in the kitchen for taking notes about how I prepare a recipe I’m about to write. The notes I take are the first draft of my finished written recipe. I write these notes in the order of the steps that go into making the recipe. This first draft is the most accurate picture I can show you of how I go about creating an original recipe. You can see that I cross out items and rewrite them as I experiment, and that the paper collects bits of stray ingredients while the ink smears under wet hands. These notes are the free-form record of a real time kitchen event. They eventually come to contain all the information I need in order to write a recipe that others can follow with success. If I were writing a recipe for my Grandma Ellie, one of the most accomplished cooks I’ve ever known, I could safely substitute a “pinch” for 1/8 teaspoon or a “handful” for 1/3 cup. In fact, when Ellie wrote her recipes, that’s how she wrote her measurements. But this kind of provincial measuring system won’t help a reader who didn’t grow up in Ellie’s kitchen, a reader who wants to make the delicious dish you are promising. You can see from my initial notes that I recorded precise measures as my beef stew came together. Different forms of the same food occupy different volumes depending on whether they are whole, coarsely chopped, finely diced, fresh, cooked, or liquefied. A carrot cut into 1/2-inch rounds will occupy less volume than if cut into 1-inch rounds. In other words, be specific about the form of the food to be measured. 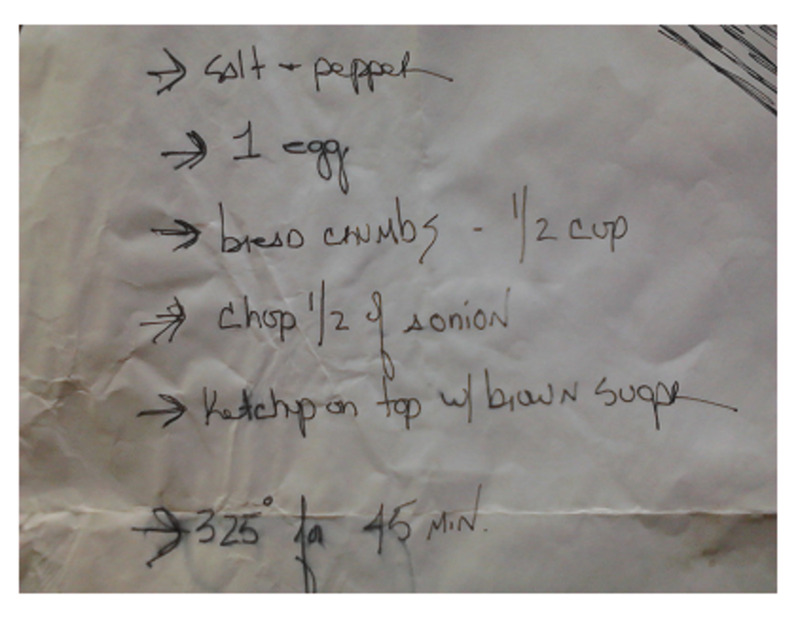 Again, make these notes on that working kitchen draft, as you prepare your original recipe. There are worlds of differences between chopping and mincing, grilling and frying, and too many more similar terms to mention. Choosing one term instead of the other can make the difference between success and failure for the cook who wants to follow your recipe. Fortunately, many excellent cooking term dictionaries are easily accessible on the Internet. The Good Housekeeping Dictionary of Cooking Terms is limited to the most common terms, but is a good place to start before venturing into much more in-depth dictionaries such as the Epicurious Food Dictionary. 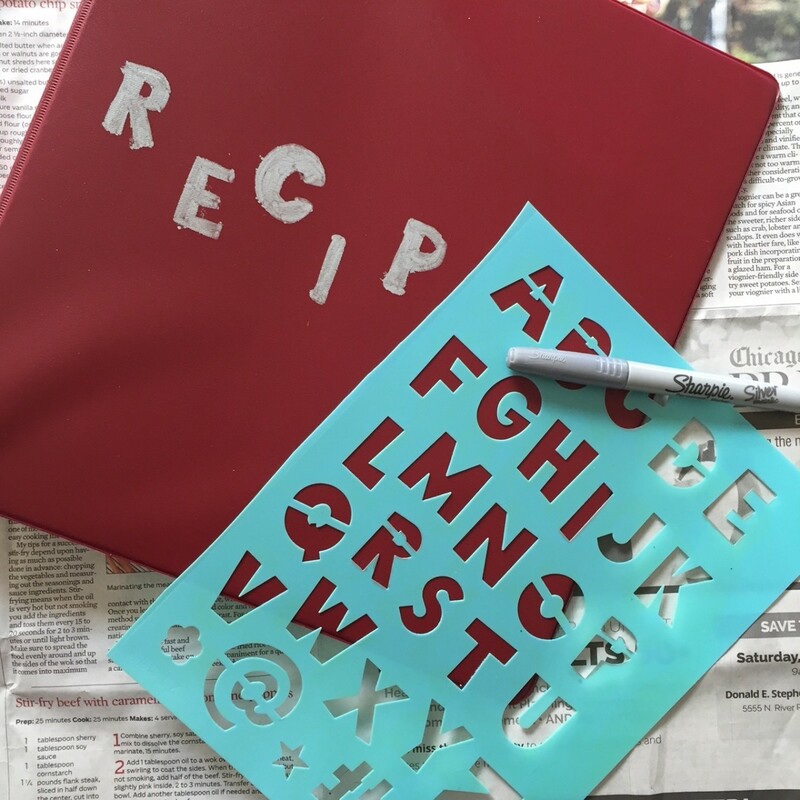 Using a template makes your recipe writing process more efficient, since you don’t have to make format or organization decisions as you write. If you are interested in creating a cookbook, using a template is especially important for keeping your writing and formatting consistent across recipes. Depending on your proficiency with word processing, you can create your own template or use one that’s been created by someone else. If you want to create your own recipe template, search the Internet for “how to create a recipe template.” If you want to use an existing template, search “recipe templates [name of word processing software you have access to]”. 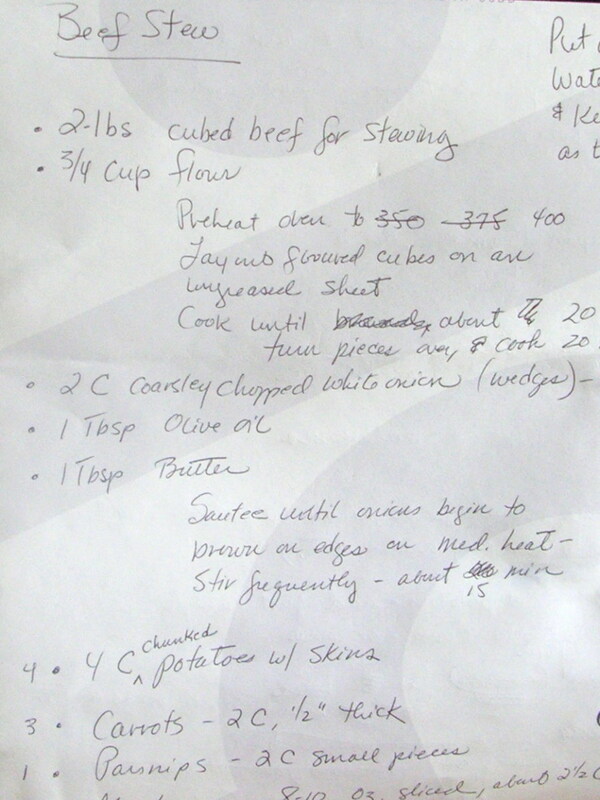 The organization of a finished recipe is quite different from the notes you make while documenting the cooking process. That first draft is a record of the creative process, but its organization is counterproductive to creating a recipe others can follow. As you can see in the notes I took while creating my beef stew recipe, the ingredients and method are intermingled for each stage of the cooking. In the final recipe, ingredients and method as well as equipment have their own sections. Cooks expect recipes to be written in a certain order, so don’t disappoint them. Start with the easiest elements, equipment and ingredients, which are simple lists. Be consistent with formatting and always use the full name of a measurement; for example, use tablespoon instead of tbsp, pound instead of lb. List equipment and ingredients in the order they will be used. Next, review your creative notes and write the method steps in the order they are performed. As you review and rewrite these steps, picture in your mind what you did and how you did it. Your goal in writing these steps is to let your reader glide through them without stumbling. You achieve this excellence by imagining yourself in your reader’s shoes, anticipating what the reader needs to know. A good time to write an introduction is after you’ve re-written your draft notes, or even later. By that time, most of the pieces of your recipe will have come together, and you may have fresh insights about what you want to tell readers about your recipe. The introduction can include a bit of the history of your recipe, information about special features such as low-fat or sugar-free, and anything else you believe will entice your reader to make your recipe. There is no doubt that food photography is an art and a profession as well, but absent a professional photographer, don’t hesitate to include your own photos or drawings of ingredients, equipment, and the finished dish. Your readers will appreciate your efforts. When a major publisher wants to sign a contract with you for a book of your recipes, then those professional photos and drawings will happen like magic. This is your opportunity to help the reader complement your recipe with foods that you know add health benefits and other enhancements. What would a somewhat colorless dish of kielbasa and cabbage be without a serving of bright red pickled beets? 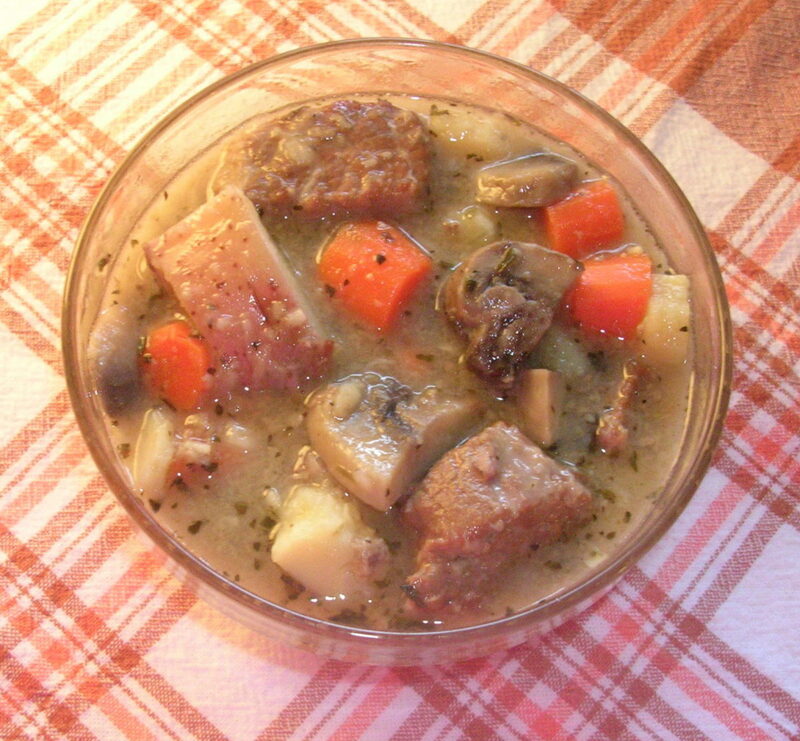 What would a hearty beef stew be without a slice of crusty bread for sopping up the gravy? 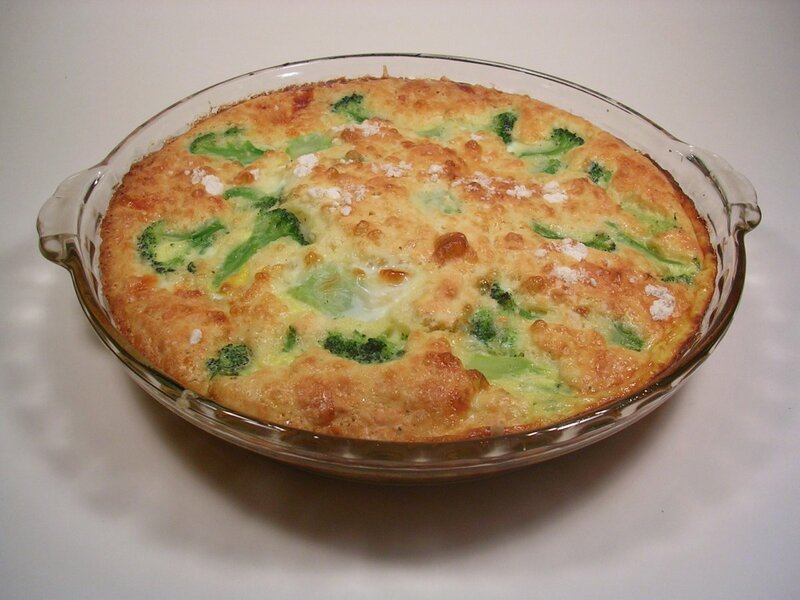 Think about how you like to serve this recipe of yours on your table. What foods and beverages enhance the appeal of your dish? Again, your readers will appreciate your suggestions. No matter how careful you’ve been in the writing process, I guarantee a spell checker is going to find misspellings. By the time you’ve written your recipe, spellchecked it, and re-read it too many times, you are now blind to whatever faults it may contain. Get a fresh view from eyes that are not exhausted by the process you’ve just been through. Not only will these fresh eyes find errors that you missed, they may also offer valuable insights that will serve to improve your written recipe. Writing a recipe is as exacting as writing a set of instructions for constructing a building or using a piece of equipment. It is “How To” writing, which is a specific, disciplined form of writing. By following these 10 recipe-writing tips you can write recipes that anyone can follow, with success. © 2011 Sally's Trove. All rights reserved. Well done Sally. They are great tips. I am going to use them when writing my recipes. Great tips Sally on how to write your own recipes. It's useful for those who are creative and want to keep track of their culinary creations. Voted up! Thanks! It's nice to know I am at least on the right track! Informative! Dawn, what a great compliment your family gives you when they start eating before you can get the finished look! Glad you enjoyed this hub. This is a great hub! I am not an expert at writing recipes, I have written a couple here. I am sure I do need better formatting and this hub will definitely help :) My problem is sometimes the finished look. My family attacks the food sometimes too quickly! Millionaire Tips, thanks so much for including this hub in your favorites list! Hi, I'm back. I wanted to let you know that this hub is included in my favorites list this week. (March 4). Congratulations! This is a very useful article with great tips on how to write a recipe. I often fail at the first step of writing things down as I add them. When I made the Indian Potluck Curry, I had to make it several times to check the recipe, and get the photos I wanted. 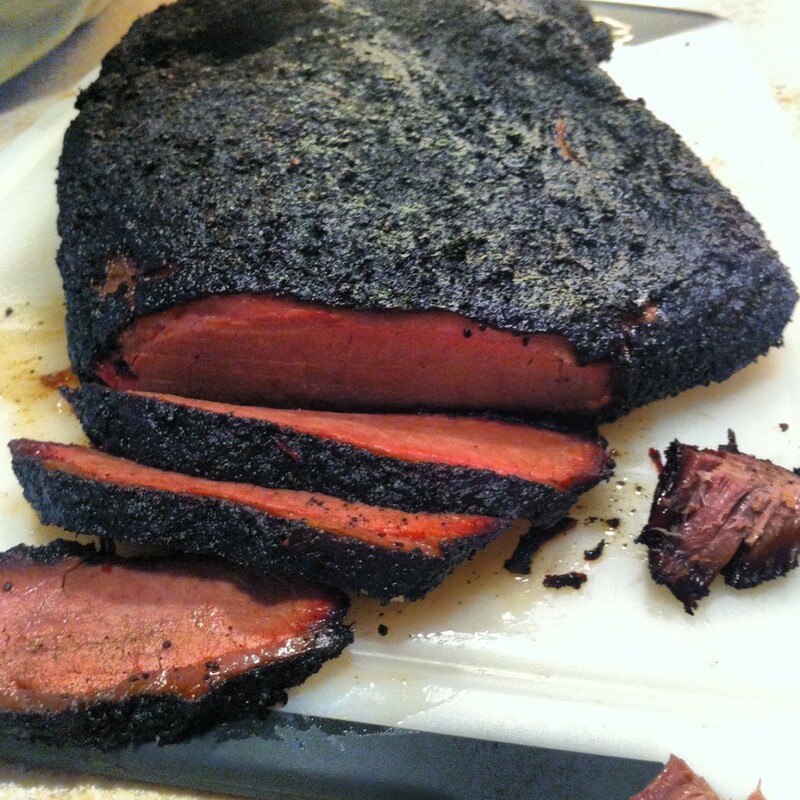 It is nerve wrecking to see if someone else can follow the recipe and whether they too like the results. Diana Grant, what an insightful comment. When we are giving instructions to others, we absolutely have to have an image in our minds about what that looks like to us and what it will look like to someone else. I really like what you said about taking photos...not only are they memory aids for the writer, but they are also valuable visual messages for those with whom we'd like to share. You've given me much to think about in your comment. For example, I'll get the golf ball size long before I'll understand the "5cm x 5cm" size. As for 8 ml, well you and I don't think that way because we're on the opposite side of the pond. :) Thank you so much! Very sensible information, which I shall try and remember, as I am doing a series of recipes of simple food at the moment, for beginners. But, I must say, I sometimes prefer the more descriptive measurements, like "pieces the size of a golf ball" rather than "5cm x 5cm", which I find difficult to imagine. And when I see 8 ml of liquid, I really panic. I have no idea what it means, so I suspect my readers don't know either. Sometimes, instead of writing notes, I take lots of photos, and use those to remind me. It does work. I love cooking. I am glad that I found your hub. So much to learn. It is my dream to publish my own cook book and you have made it easy. Thank you so much for sharing it. Hyphenbird, I just read your Hub about spaghetti tacos. 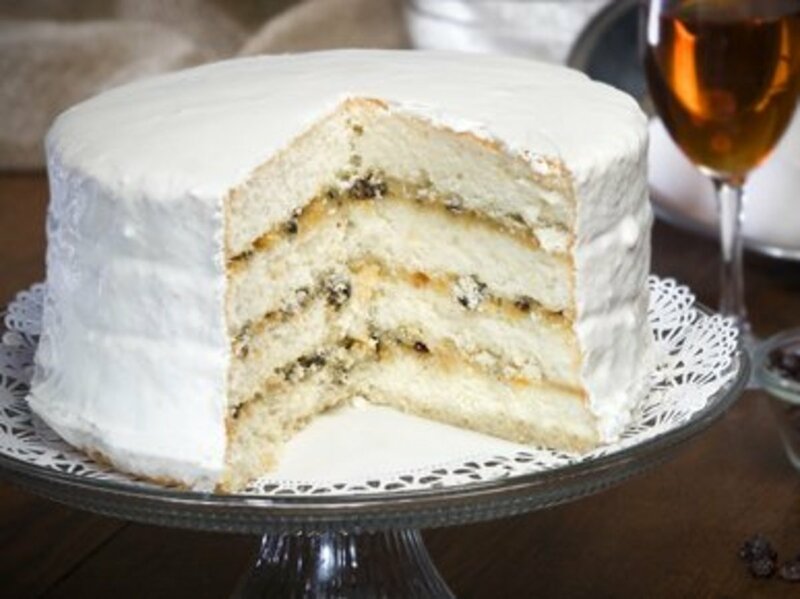 Yours is a recipe for preserving forever! It's just the ticket for kids at that age. Your son has an awesomely cool mom. And thanks so much for your gracious comments. hi Sally. I created a recipe when my son asked for spaghetti tacos and published it here on HubPages. After reading this, I will download a recipe template and also include that. Thanks so much for your great advice. Hi Peg! I really enjoyed your comment. It got me to thinking about how experienced cooks need only notes to go by in order to recreate a dish, especially a dish they've already sampled at the table of a friend or family member. I have an old-fashioned recipe box full of those smudged and spattered pieces of paper (there's a pic of it on my Hub about the original Bisquick Impossible Quiche recipe), and I don't need any more instruction than those dashes and pinches, but these days, when some folks ask me for a written recipe, I find I have to add a lot to keep them from calling me for additional directions, and then the elaborated-upon recipe becomes a Hub and gets stored electronically. Thanks for your rich comment and for the votes! I treasure the recipe cards I still have that are spattered with cookie dough and smudges of grease. But you're right about a pinch of this and a dash of that. Trying to get a family recipe with accurate measurements was tough until I shadowed the cook and wrote down exactly what they did and measured the quantities. Voted up and useful! Recipe Gal, as I commented earlier today on one of your Hubs, I love how you show, without saying, how a good cook knows what liberties to take to get the job done (not my words there, but you know what I mean). Yes, there is a time to be really specific and hammer down measurements and methods...but in your Hubs, you point the reader to the original recipe, and then you talk about what you've done with it. I find your approach enormously refreshing. I think you have a "review" genre that is completely unique and ultimately of great worth. These are great tips! I enjoy putting recipes online, so there are definitely some things I need to consider here. Your tip about measuring ingredients is especially helpful since I often don't do that. Thanks! Sally,thank you for the "how to" instructions. This is very useful! Sally - thanks for the tips. I will certainly use them. 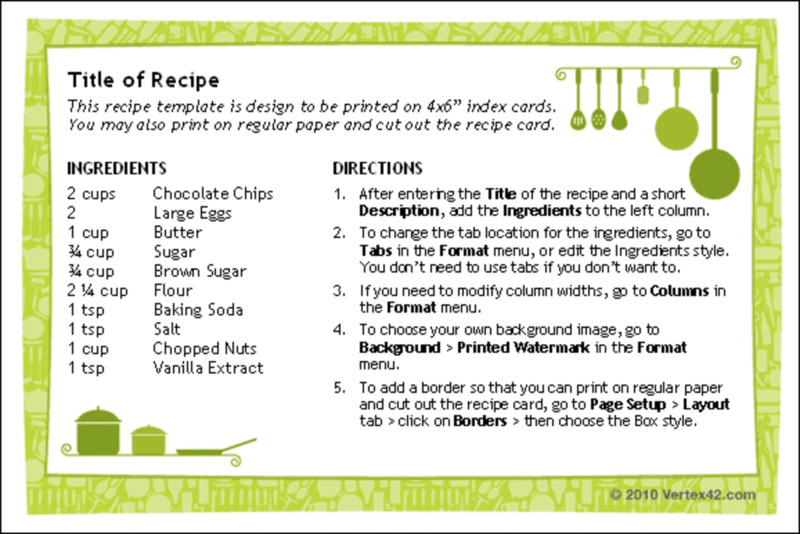 izettl, the recipe card templates are really handy. Glad you like them! This is exactly the advice I need! Thank you so much. This is great! voted up for sure. THis is useful to me as I'm trying to write down all the recipes in my head and ones I've made up over the years.I love the recipe card template- didn't know those things existed. Karanda, I don't think I ever heard that expression about eating with your eyes first. Thanks for that, I love it! And thanks for reading and leaving the good words. Peggy, every gifted cook I know is probably happier "dumping" than following a recipe. My ex is a fabulous cook who just seems to have a certain chemistry for taste...some of this, some of that, some more of this, and presto! I, on the other hand have always colored within the lines. Whatever you do, don't let writing stuff down interefere with your creativity! Maybe a voice recording device of some kind would work well for you? Good tips indeed. An image is so important to a recipe if it is true we eat with our eyes first. Nellieanna, I'm so glad you found this information useful. You are right, it is a mini-manual, which I think can be expanded. Thanks for the insight, because my wheels are turning! Sally - what an outstanding mini-manual for writing one's recipes. During my more avid cooking hey-days, I wrote down many recipes of my original recipes and usually they turned out fairly well, writing-wise, as well as results for the table-wise. But your excellent tips and guidelines (not to mention the internet resources) would have been such a help! I love this! I may have to send it to my granddaughters! Thanks for your good effort! KKG, you are so right. If you don't write it down, then more often than not it's forgotten. A challenge in the kitchen is how to do that...I choose paper and pen, but keyboard protectors can keep water and foodstuffs from harming the PC or laptop keyboard. Whatever, the important thing is to write it as you do it. Thanks for your good words and for sharing your experience! Sally, excellent tips and advice. I find myself writing and cooking all the time. It's so hard to remember what you did later when you're sitting and eating a dish that turned out great. I can't tell you how many times I couldn't remember that new improved ongredient that I added to make an ordinary dish taste delicious. I had to start writing as I created. Wonderful hub. CollB, you are very welcome! Thanks for these tips! 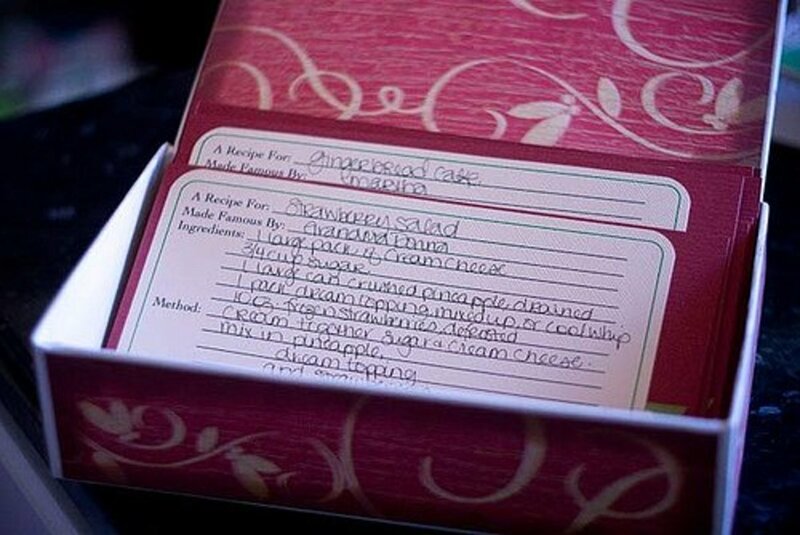 I like the idea of keeping a notepad nearby when making a dish. MsLizzy, your comment made me gag in delight. Porridge, what the hell is that anyway? We need some time in the UK to understand that. Absent that trip,maybe our English Hub friends will write some Hubs to explain peas porridge hot, peas porridge cold, peas porridge in the pot.....was that torture? Sally, I have folders of recipes going back some 100 years. Most are hand-written by family, friends, and me. All in all, my recipe collection is a MESS! Over the last couple of years I've been re-writing and organizing them into a collection that makes sense to me. It's a long and painful but also joyful process. Hang in there. It's worth it! IslandVoice, I am delighted to hear about your daughter's adventure and pleased as punch that this Hub might be useful to her. Best wishes! Feline Prophet, writing is such a B****! Thank goodness for professionals like you. I needed your eagle...er...cat eye for this one. Thanks so much for your suggestion. It's been added. Ah, yes--I have a handful of handed-down recipes, and instructions such as, "butter the size of a walnut" drive me "nuts." ;-) (um...hello...not all walnuts are the same size...) Or, "add milk to the consistency of porridge." ???!!! I don't think I've ever HAD "porridge," and if they mean oatmeal...well, not everyone likes the same consistency. I like mine thick--it won't even drop off the spoon. Trish, you are so right, no matter how careful we are, the words can become a big blur, swimming in front of us. Feline Prophet, in her comment after yours, pointed out a significant omission in this Hub about the order in which ingredients are presented. So, even though I'd been through these words a number of times and also had them reviewed by someone else, crucial information was missing. It's all about anticipating what the reader needs and making good. I do love it when I catch the New York Times in a mistake! Makes me feel better. You may borrow my eyes any time! A clearly written and detailed hub. Thank you for the good advice. Great tips, ST - thanks for making me aware that I need to get organised with my recipes! Great hub Sally again.Very well organise. My daughter who is an excellent cook is writing her first cookbook, and is so excited. I know she will enjoy your tips. Thanks for this timely piece. I will post this in my FB for her and perhaps others who may find your advice useful. May I be so bold as to suggest something too? It's a good idea to list your ingredients in the order in which they will be used - makes it easier for the cook! Well now. Does this mean I have to go back through all my published recipes? As you well know, growing up, a pinch of this and a dash of that was simply the way preparations were explained. You make an excellent point about spelling things out for readers who aren't familiar with cooking terms. As for a fresh set of eyes, that is always a blessing, and something we share. At work, I often ask for someone to look over either my presentations or documents I've had to create. You are so right that after a while, all our work starts swimming before our eyes. Thanks for the great advice I will defiantly check it out. katesn0w, glad you find the tips useful. Be sure to check out the kitchn.com article on how to write a recipe like a pro. It's got additional excellent advice, and in a lot fewer words! Great advice, and so well-organized! Yet another reason why everyone loves your recipe Hubs!